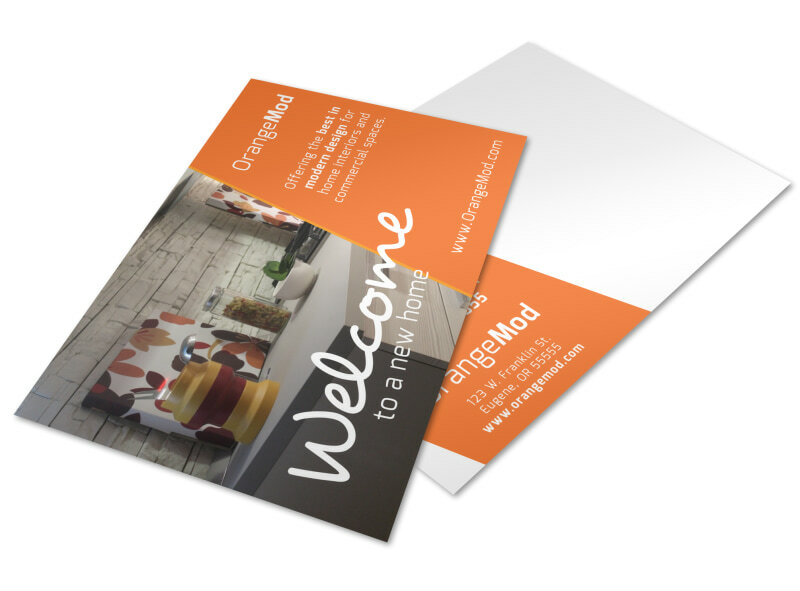 Customize our Interior Design Welcome Postcard Template and more! 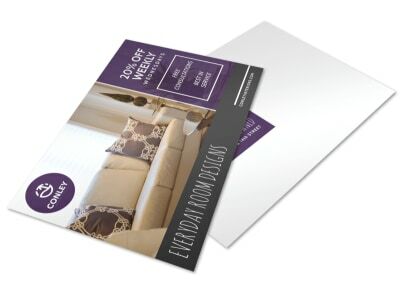 Send out a snail mail blast to promote your interior design business with the help of this customizable postcard you make yourself using our online editor. There are various ways to customize by choosing from colors and fonts for your text and adding graphics or images of your own! Get in touch with our online editor to get started today!